Joel Grind is undoubtedly one of the most reliable men in the modern metal business. 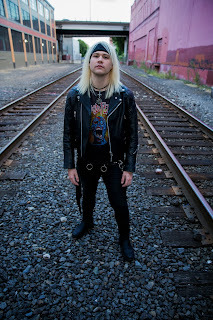 With each new Toxic Holocaust release he retains a sliver of the identity that made his previous works wonderful, but mixes the pot ever so slightly with wacky guitar solos and riffing reminiscent of the thrash's hay day. Even so, the end product is often cliché feeling, like it's all been said and done before--the only real drawback. 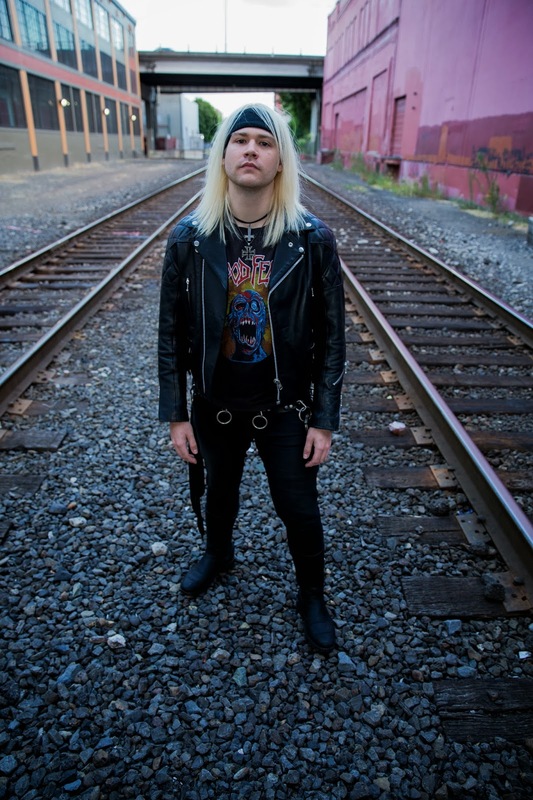 But take a moment and consider this: think of Toxic Holocaust as the Motörhead of our generation. There isn't a bad record in their discography, and they better their sound with every piece of music they write, a lasting momento of their consistency. Fixing minor aesthetic issues with past efforts, the band's latest release, Chemistry of Consciousness, fits in soundly among contemporary albums, while still retaining old school charm--not an easy feat by any stretch of the imagination. The opener, "Silence," gives a good idea of what to expect over Chemistry of Consciousness' 28-minute runtime: upper mid-paced to speedy metal swathed in anarchistic punk attitude. Five years ago, Joel wouldn't have dreamed of this much progress with just the initial cut on a record. In fact, while An Overdose of Death... was very, very good, it wasn't a clear representation of what Toxic Holocaust was capable of, musically. That's to say, it didn't even scratch the surface--it just hunkered down in formulaic songwriting and played it safe. This time around, though, there's everything from d-beat chaos to massive tempo changes to tremolo picking that borders on death metal; and as one might expect, it makes for a fantastic, varied listen, which is not easily said of the majority of thrash metal. There's a genuine sense of earnestness with Chemistry of Consciousness that wasn't present with the majority of the back catalog. There's no question that professionalism, the key to any band's success, is alive and well here. That's the beauty of it, too. 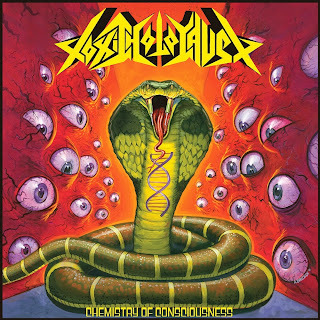 Chemistry of Consciousness genuinely feels like Toxic Holocaust has struck gold, instead of looking to the past for inspiration; in other words, they've finally found a unique personality, as opposed to building upon a spin-off of another artist's sound. It's all Joel Grind, and only Joel Grind, which is what Toxic Holocaust needed in the first place. 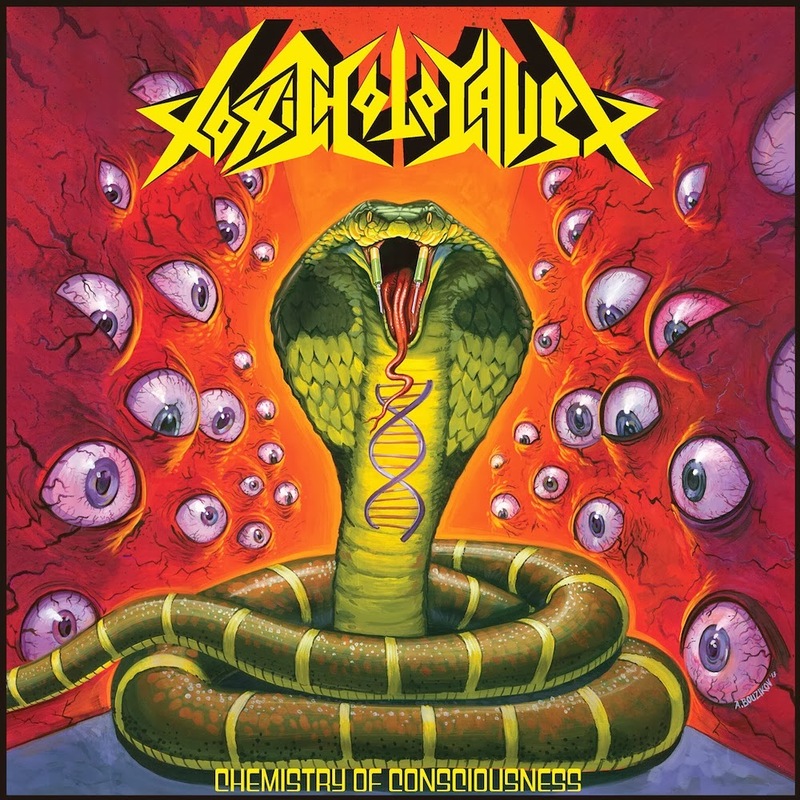 Is Chemistry of Consciousness the best record in Toxic Holocaust's discography? I'd say so, but that's for you to decide. Very cool. This is one of three records I'm excited for as the year ends and one of the others happens to be the new Motorhead (the other is Skeletonwitch). Jealous you got the advance listen and am now looking all the more forward to it. While I think it's their best so far, nothing--and I mean nothing--can top An Overdose of Death's... artwork. In any case, I'm looking forward to hearing what you think of it once you get it in your hands. We'll have to agree to disagree... I like two better: one is not solely them but Bouzikov's cover for the Toxic Waste split with Municipal Waste is my favorite followed by Hell on Earth. I am very, very partial to Ed Repka. That said, I love Overdose..., too. Joel/TH has yet to disappoint me. Hey, fair enough! I know you have Toxic Waste on vinyl, too. Pretty jealous of that. Anybody hear that new Motorhead album? I hope to get to it soon. Work has been weighing me down lately, limiting my music and writing time. Have you heard it? Just read Joel Grind is mixing the upcoming Dismemberment full-length, Embrace the Dark (http://gunshyassassin.com/exclusive/dismember-exclusive-song-stream-system-to-rise/). World gets smaller - and cooler - every day. Thanks for the heads up--very cool. Gotta love the small metal community always helping each other out.